Florida representative Gwen Graham is a former self-described “stay-at-home mom.” She got involved in politics at an early age, thanks to her dad Bob Graham, who was the Governor of Florida from 1979 to 1987. Graham is ready to have that title herself. She’s not afraid to get out in the communities and connect with the people of the state and wants to expand the voices for all the constituents in Florida. She knows that when more women run for public office, the more they’ll be inspired to vote. Q: At College Magazine we’re working together with EMILY’s List, Emerge America, Human Rights Campaign, Higher Heights, She Should Run, Running Start, Victory Fund and IGNITE on an initiative to fight for equal representation in Congress called “50 by 2050.” What are your thoughts on the goal of achieving 50% of women in Congress by 2050? A: Reaching the goal of a 50 percent female Congress by 2050 starts by supporting women running for local offices across the country today. The bad news today is that Donald Trump is president. The good news is that he has inspired women across the country to run. With this energy and enthusiasm laying the groundwork, I don’t think we’ll just hit 50 percent, I think we can achieve 51 percent. A: Growing up, I was inspired by my father’s service to our state, but I never expected to run myself. I raised three great children and served my community working in our local schools and volunteering with the PTA. 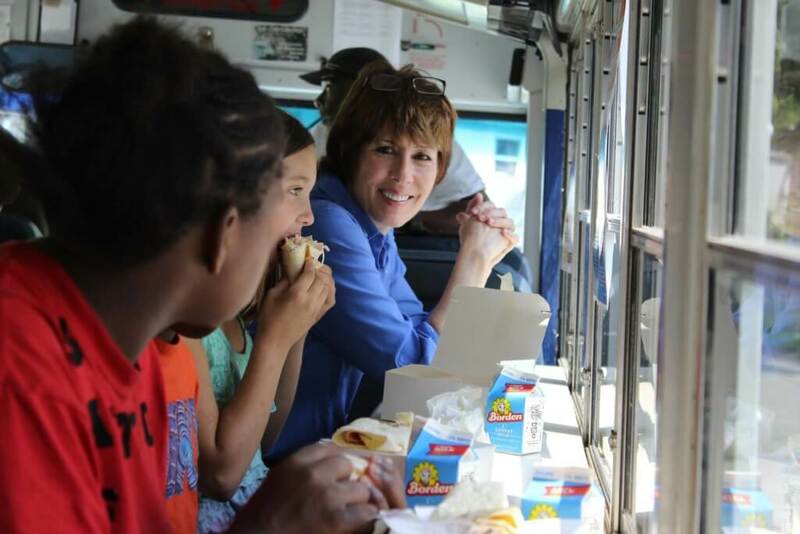 After a life full of these experiences, I felt ready to give back by running for Congress. Now, I’m running for governor because after almost 20 years of one-party control in Florida, we need to restore our promise to public schools, protect our land and water, and build an economy that works for every Floridian. A: If you’re thinking about running for office or getting a campaign started, get around town and listen to the people you want to represent. One way I do that is through Work Days, where I spend an entire day working with Floridians. There’s no better way to learn about the challenges your constituents face than picking weeds on a farm with them or serving grilled cheese sandwiches in their food truck. Q: What’s the most important piece of legislation you’ve helped pass? A: I’m proud of the work I accomplished on the House Armed Services and Agriculture Committees. The first piece of legislation I sponsored was the VETS Act to help injured service members as they transition from the military to veterans service. After we filed the legislation, I’m proud to say the military hired more care coordinators to help our men and women cut through the red tape. We were also able to work with the Department of Agriculture to bring the StrikeForce program to combat rural poverty to Florida to help communities with job creation, land conservation and providing meals to those in need. Q: Compared to the other Democratic candidates running right now, you have the most experience. We’ve seen a woman run before with more experience than her opponent. What other qualities do you think set you apart? A: I am not a career politician. I am a mother, former PTA president and public school official who also had the honor of serving in Congress. As governor, I am going to think of the students I have met, the parents I have volunteered with and teachers I have worked alongside. I am running to work for them. “Run for student government or get involved in your local community. Volunteer with nonprofits or join a campaign. You can influence policy and help others in your community today — and those experiences will help you run for office in the future. One of the most personally inspiring candidates to me here in Florida is Anna Eskamani, a 27-year-old woman who has spent her life dedicated to progressive causes and is now running for the state legislature,” said Graham.